Tagged Bahamian bonefish. 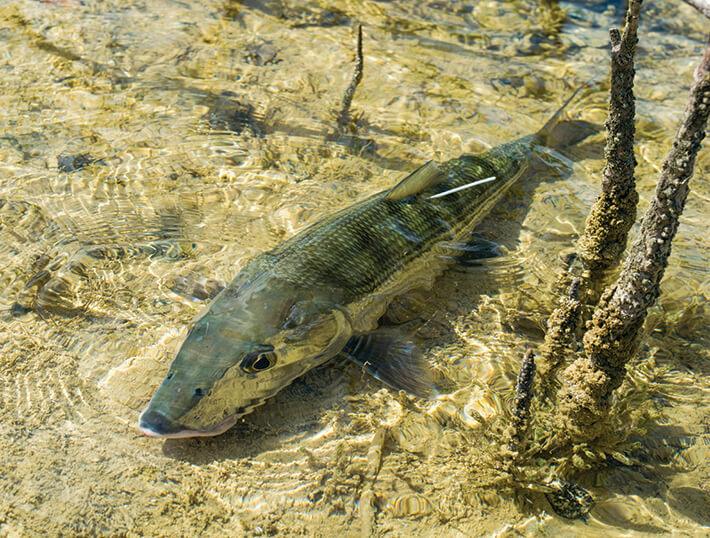 Photo by Justin Lewis Bonefish & Tarpon Trust. BTT pays for and conducts advanced studies on the flats fishery in the Bahamas and elsewhere. The Opposition’s leader yesterday urged the Government to clarify the “uncertainty” surrounding the flats fishing regulations, as the industry has “never been better” since their enactment. And the Abaco Fly Fishing Association is also expressing alarm that the 1:2 guide/angler ratio requirement will have the unintended consequence of further destroying the Bahamas flats fishing tourism sector, as anglers who don’t want to hire a guide will travel to tourist-friendly destinations instead. Cindy Pinder, its vice-president, said in a statement: “The current regulation allows anglers to wade for fish without a guide, but not to use a boat to get to the flats or to fish from a boat if two anglers fish together. Second homeowners who have invested hundreds of thousands, or millions of dollars, in our country because they are fisherman can no longer flats fish here if Mr. Wells does not rescind the regulations. Ms. Pinder said the industry “100 percent supported” a licensing system where permits were easily obtainable, and the revenues went to conservation, education, and enforcement. She warned: “So much needs to be fixed within the current regulation it would be easier to start over and make it an easy to understand and enforceable regulation that would protect the fishery and grow the sport to bring tourist dollars into the country. A friend to everyone he met. Lefty Kreh passed away in March of this year 2018. We hope to preserve his legacy. We are raising money to purchase items from the auction of Lefty’s estate and hopefully have enough to build a self-supporting foundation. The items purchased will be loaned or donated to organizations like TU, Bonefish and Tarpon Trust, The American Museum of Fly Fishing , IGFA, CCA and others to secure Lefty’s Legacy. This effort is being supported by Friends like Flip Pallot, Bob Clouser, Dan Blanton, Henry Cowen, Rick Pope, Bill Klyn and many, many others . 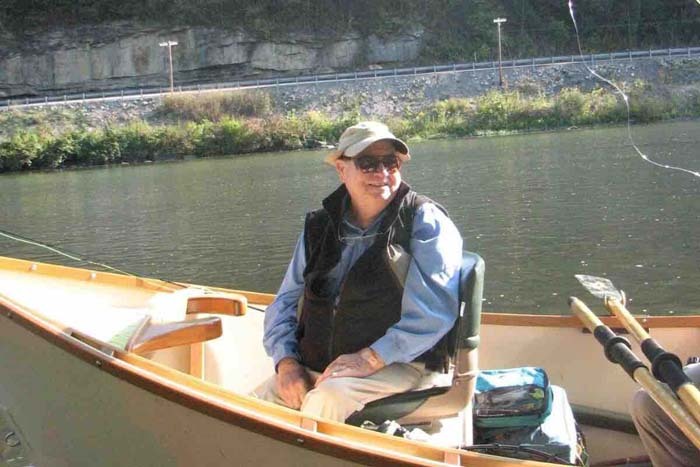 Please, if Lefty was a part of your life please support this effort and talk it up to your Fly Fishing friends. I am Mark Lamos. I was Lefty’s doctor and the executor of his estate. Lefty asked me to maximize for his children his estate. He asked me to work with organizations to support fly fishing and conservation of both fresh and salt water resources. Mountop removal coal mine, near Sparwood, Elk Valley, B.C. beside the Flathead Valley. Selenium is released from waste rock piled at Teck’s large-scale open-pit coal mines, where rainfall and snowmelt draw it into the Elk and Fording Rivers. Selenium can be harmful to biological organisms at even small amounts and causes deformities in fish and birds. 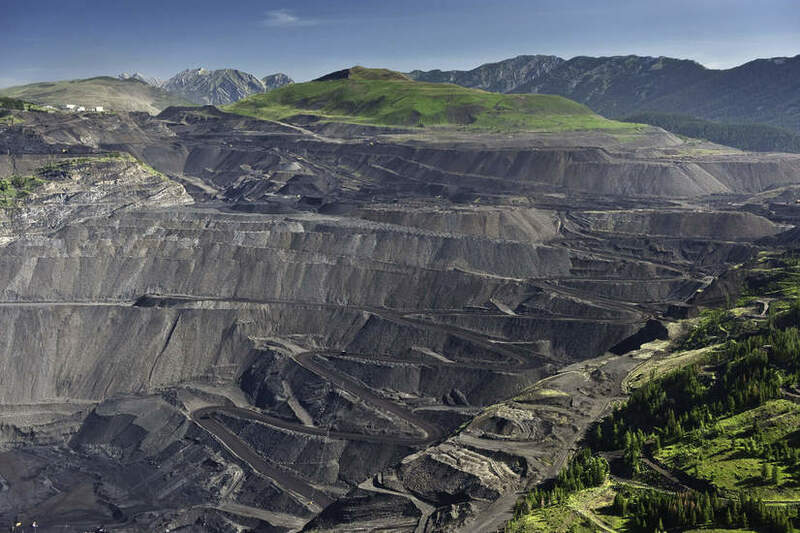 The continuous flow of dangerous pollution from B.C.’s Elk Valley coal mines into a Montana watershed is a top discussion item for Canadian and U.S. delegates convening at a bilateral meeting in Washington, D.C., Thursday. Selenium from five metallurgical coal mines owned and operated by Teck Resources has been leaching into B.C.’s Elk River and flowing southeast into Montana’s Kootenai River watershed for decades. Contamination levels measured in U.S. waters exceeds maximum concentration limits outlined by the U.S. Environmental Protection Agency. The four dams, built in the 1960s and 1970s, provide hydropower, flood control, navigation, irrigation and recreation benefits, supporters say. 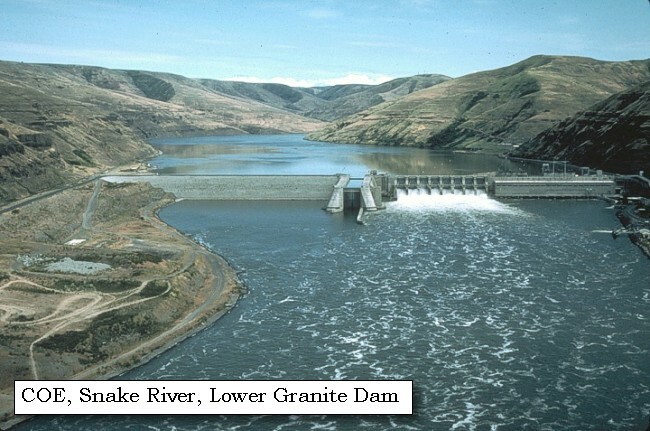 But the giant dams are also blamed for killing wild salmon, an iconic species in the Northwest. Republican lawmakers are upset with a federal judge’s order to spill water that could be saved for other uses from four Snake River dams to help speed migrating salmon to the Pacific Ocean. Republican Congress members from the Pacific Northwest are upset with a federal judge’s order to spill water from four Snake River dams to help speed migrating salmon to the Pacific Ocean. They say the water could be saved for other uses and are denouncing the spill, which began April 3, and a push by environmentalists to remove the four dams to increase wild salmon runs. “Dams and fish can co-exist,” Reps. Cathy McMorris Rodgers and Dan Newhouse, whose Washington districts include the dams, said in a joint statement. Standing in a carpeted, sterile, event hall next to identical rows of beige, cushioned chairs, my eyes welled up with tears as I watched the propaganda video put forth by the Pebble Partnership detailing their phase-one plans to build a massive mine at the headwaters of Bristol Bay. Thirty years ago, a vast, low-grade deposit of gold and copper was found in the hills of a water-rich saddle within the remote region in southwest Alaska, at the headwaters of two of the eight major rivers that flow into Bristol Bay. The same year of the discovery, a little over four thousand miles away, I’d just been born. The region sustains world-class sport fishing and hunting opportunity, and an Indigenous subsistence culture that has thrived for millennia. The bay itself is a famous commercial fishery that supplies over half the world’s sockeye salmon. 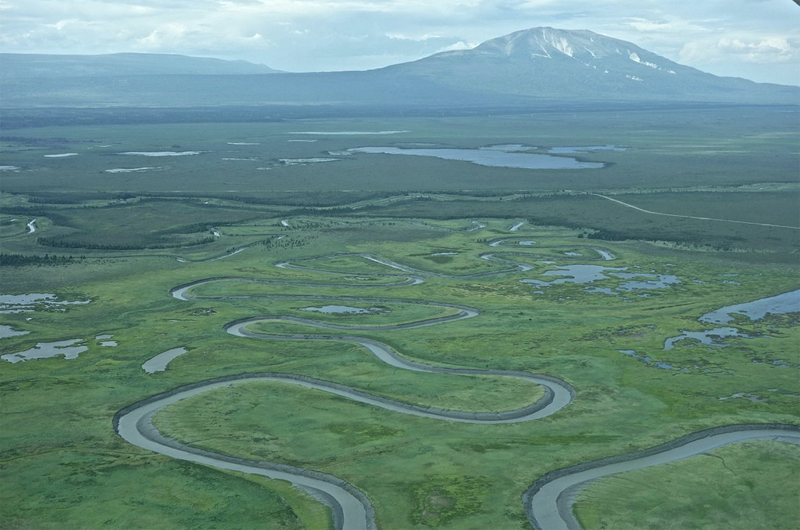 Pebble mine backers are asking us to trade the gold in the hills for the salmon in the rivers. Thousands of Alaskans and a million Americans have spoken up in response, and have resoundingly and repeatedly said, “no way.” Yet the company presses on. Narraguagus Lake in eastern Hancock County. Nearly 13,800 acres of forest abutting the lake in Township 16 were acquired Tuesday May 1, 2018, by the Conservation Fund. Conservation Fund photo. A Virginia-based group has acquired three forested properties totaling nearly 17,900 acres in Hancock and Washington counties. 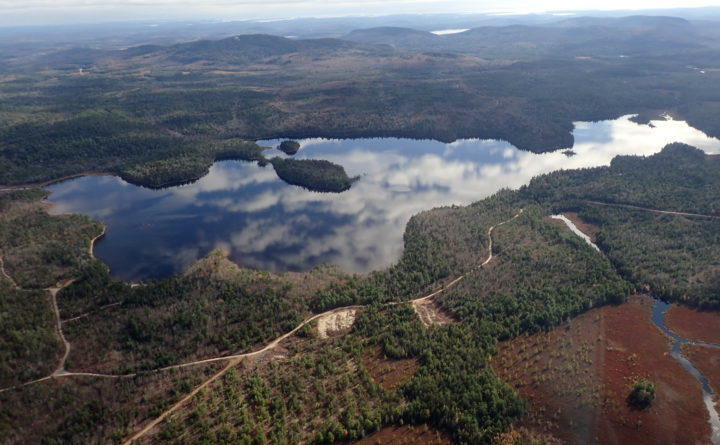 The Conservation Fund acquired the properties on Tuesday from H.C. Haynes, Inc., a forestry company based in the Penobscot County town of Winn. The properties — the purchase prices of which were not disclosed — will be conveyed to other nonprofit conservation organizations after those groups raise money to purchase them. The goal of the acquisition is to protect wildlife habitat, ensure future recreational access, and support the economies of nearby coastal communities, according to a prepared statement the fund released this week. Narraguagus Lake in eastern Hancock County. Nearly 13,800 acres of forest abutting the lake in Township 16 were acquired Tuesday, May 1, 2018, by the Conservation Fund. Andy Coetzee hoists a Guinean Barracuda. Courtesy of The Smithsonian Channel. From remote Ugandan waterfalls to the murky waters off the coast of West Africa, ecologist and fisherman Andy Coetzee goes to extreme lengths to catch some of the rarest, most prized fish in the world. 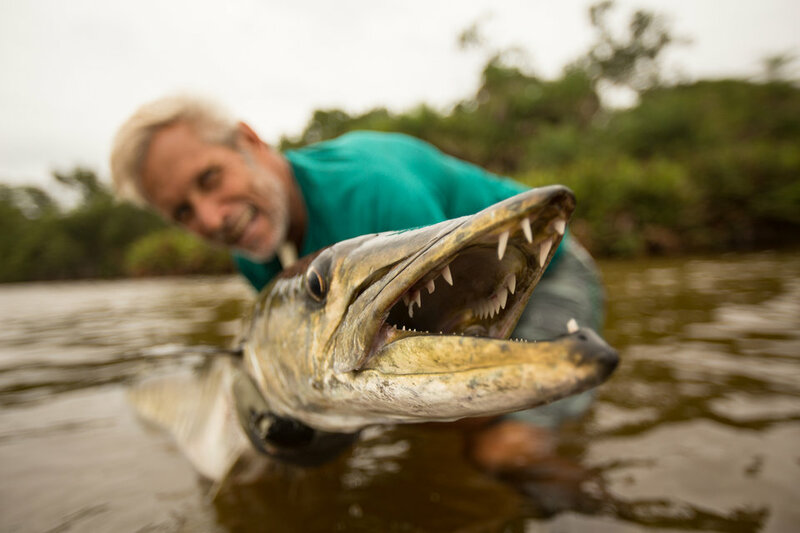 Coetzee’s efforts are the subject of a new three-part television series from the Smithsonian Channel, called “Fishing for Giants.” Viewers can watch the fisherman dodge crocodiles and dive deep below the ocean’s surface in the hunt for elusive creatures. Each of the three episodes revolves around a single species. The first, which debuted April 25, features the Nile perch — the largest freshwater fish in Africa. The second episode airs on Wednesday, May 2 at 8 p.m. and follows Coetzee’s pursuit of the aggressive dogtooth tuna. In the final installment on May 9, Coetzee will go after the Guinean barracuda, which boasts 3-inch fangs. Don’t put all your eggs in one gravel bed! Each winter from mid-February to early March, biologists from the Maine Department of Marine Resources, Penobscot Indian Nation, Northeast Fisheries Science Center, Greater Atlantic Region Field Office, Maine Inland Fisheries and Wildlife, and the Natural Resources Conservation Service embark on a collaborative effort to “plant” Atlantic salmon eggs into gravel-bottomed Maine Rivers and streams. 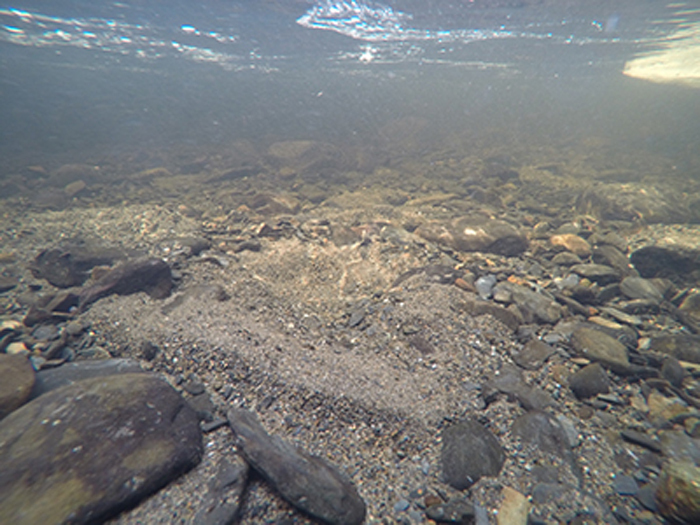 The egg-planting technique has been used in Maine’s salmon rivers for the past decade to help restore and conserve this endangered species. We plant fertilized eggs, collected from adult salmon at a U.S. Fish and Wildlife Service hatchery, directly into spawning habitat to provide an alternative stocking method. Rumors of U.S. Interior Secretary Ryan Zinke’s brazen meddling with senior management of the National Park Service have been brewing for a year. Between then and now, other higher-profile things have happened. 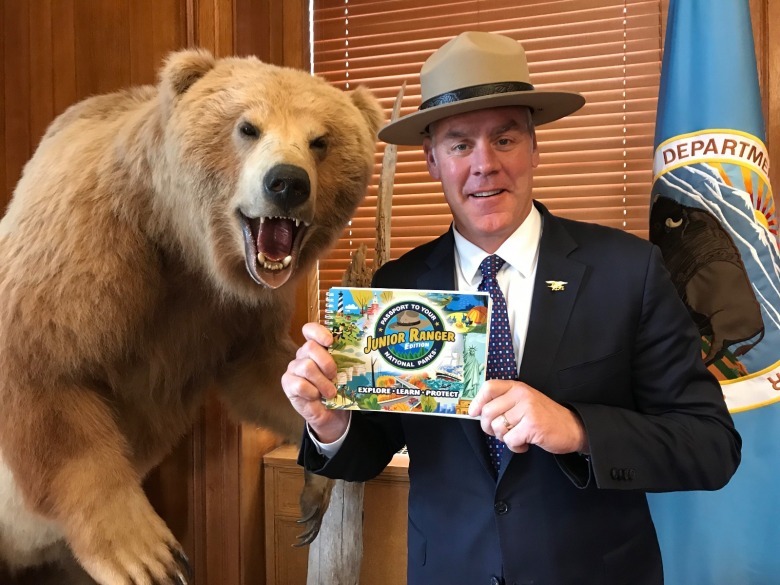 Amid carefully-choreographed photo-ops—portraying him gallantly on horseback, wearing a cowboy hat, donning white gloves like a dandy to ride in a parade and holding phony “listening sessions” on national monuments in Utah—Zinke has become a master of bait and switch. Invoking “Theodore Roosevelt” and claiming he is the modern incarnate of the most conservation-minded president in U.S. history, Zinke has demonstrated not a sophisticated grasp of the value of America’s public lands, but a profound lack of intelligence when it comes to honoring the near-sacred institutions and laws he is tearing apart.